It is with a great pleasure that we announce you the launch of our most popular Mobile Sinhala Keyboard Helakuru for iPhone & iPad. This iOS version of Helakuru also supports both Smart Phonetic & Smart Wijesekara keyboard layouts for Sinhala typing exactly as in its Android version allowing you to type Sinhala faster in the way you prefer. This is Helakuru's default keyboard layout which allows you to type Sinhala phonetically. 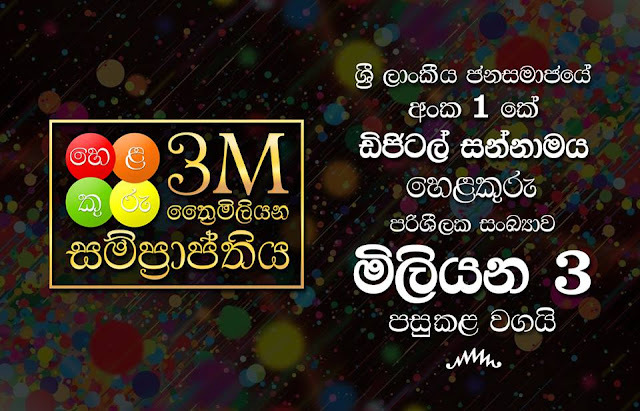 It makes your life easier by introducing a transliteration based Sinhala phonetic layout for those who're not much familiar with standard Sinhala layout. With this Phonetic keyboard layout, you can easily type Sinhala phonetically as "ammaa" for "අම්මා" in the same way you type SMS in Singlish. If you're familiar with Standard Sinhala keyboard layout which is Wijesekara, you can conveniently use it to type with Helakuru. It can be enabled on Helakuru by pressing the Settings icon on Helakuru keyboard switching the toggle. Smart Wijesekara layout features standard Wijesekara layout as it is in normal & shifted modes & additionally features nasal (sanyaka) characters in long tap mode making it Smart for mobile typing. We introduce this awesome Mobile Sinhala keyboard for Android three years ago in 2012 & waited a long time to release its iOS version until Apple allows third party keyboards for iOS. Finally Apple allowed it last year with the release of iOS 8 and so do we. 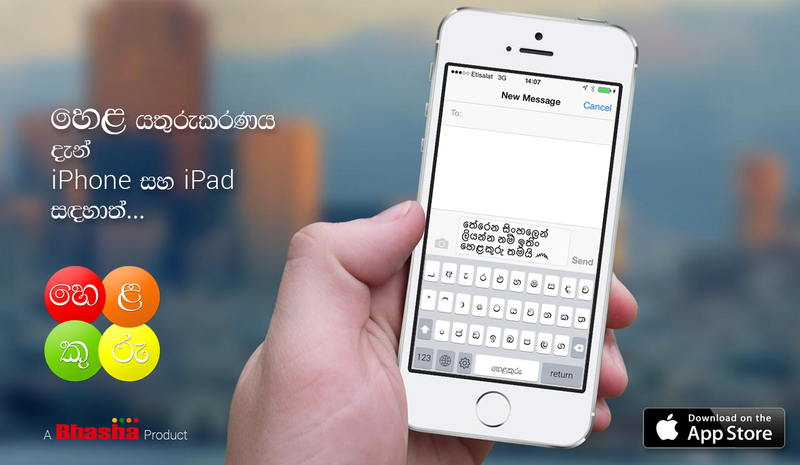 As a result Helakuru for iOS is not just an app, where you can type in Sinhala only in that app, but a standard iOS keyboard which you can use to type in any app system-wide whether it is Messaging app, Facebook app, twitter app or anywhere in your device where you can type. Helakuru also comes with the in-built Sinhala Unicode Rendering Technology innovated by Bhasha, so you see a clear Sinhala typeface throughout the Helakuru keyboard. Install Helakuru - Go to AppStore on your iPhone or iPad & search for "Helakuru"